People are usually either coffee people or tea people. Agent Cooper loves his coffee, while Kevin Rose is obsessed with tea. America drowns itself in coffee, while England sits down for a cup of tea. We’ll do this Tassimo-style. PC’s new dark roast is one of my favourite coffees for the wasteful little machine, and I was given some green tea by Twinings, which by its very name implies it is supposed to be twinned with something else. 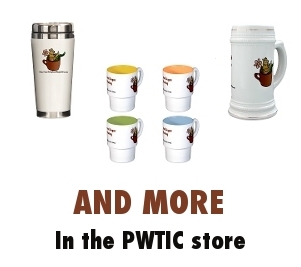 I got a big cup and brewed (er, “brewed”) one after the other. Unfortunately, the machine seemed to sense a disturbance, realizing that a black magic violation of the natural coffee / tea separation was about to happen, threatening to tear a hole in the fabric of spacetime and usher in a world where cats play with dogs, fire is made of water, and Canada wins plenty of gold medals at the Olympics. It voiced its disapproval with the dreaded four blinky lights. Luckily, the damage was already done. The unholy union of coffee and green tea sat in my cup, looking like…well, coffee. The taste is not entirely terrible. It’s like green tea that’s too bitter, or dark coffee that’s too watered down. I was happy to drink the whole thing, but I don’t feel compelled to do it again. 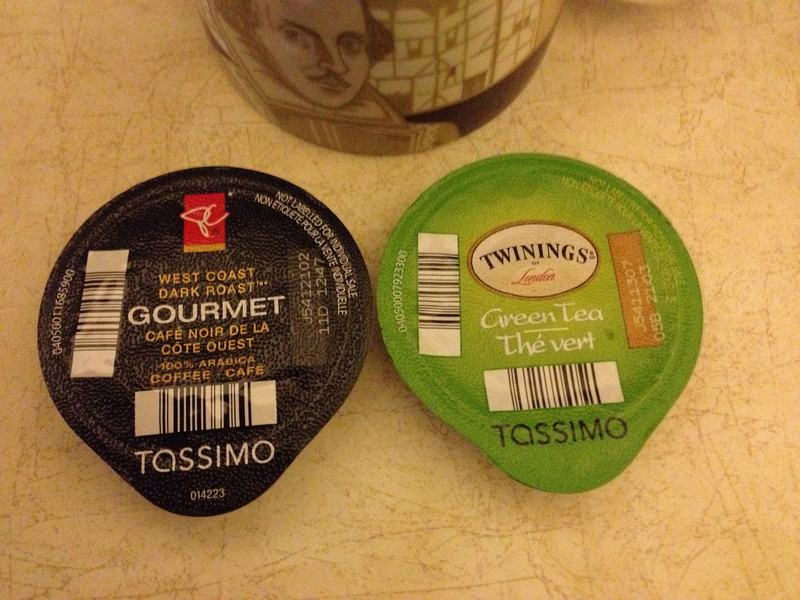 Still, I’m happy that I’ve managed to bridge the gap between coffee and tea. If only all of us could put aside our preconceived notions and jam disparate things together, the world would be a better place. That’s what this blog is all about, really. You’re welcome. I think you went through this too lazily. I would redo the whole experiment with some really heavily brewed tea (making it as strong as possible) with a very intense aroma so as to be able to put as little as possible into the coffee. After all, smell is what tea is all about at least compared to coffee. Then a mix of 50 ml tea and 150 ml coffee would probably work much better. And you can experiment further with the mixing ratios until you get the best result. The key is to use half a tea-spoon of instant coffee (none of your fancy machines here, I’m afraid!) while brewing the tea (lemon-infused green tea tasted even better, after a little further experimentation), with tremendous results! Chai tea latte. It’s on the menu EVERYWHERE. Even though some “baristas” don’t know how to make it (I’m looking at you, Coffee Culture). I am Mark’s wife. My Husband died 5 days into that experiment. Can’t tell if you’re serious, but umm, hope not. I made myself a cup of coffee and added white chocolate matcha ganache into it. I guess that sorta counts as coffee green tea, eh? Anyhoo, it tasted nice, and would be much nicer if it were sweeter! 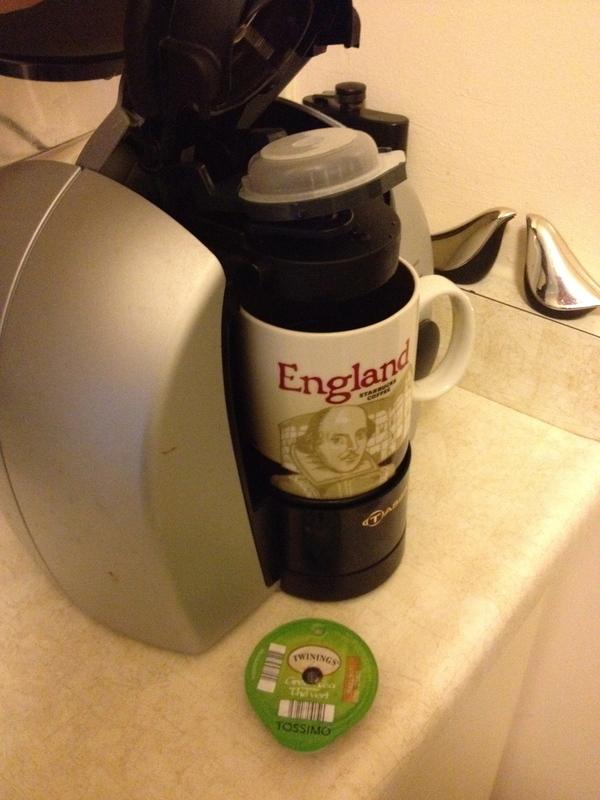 I brew a keurig light roast k-cup of coffee with a green tea bag in it and let it steep for three minutes before removing the tea bag and adding some unsweetened almond milk. 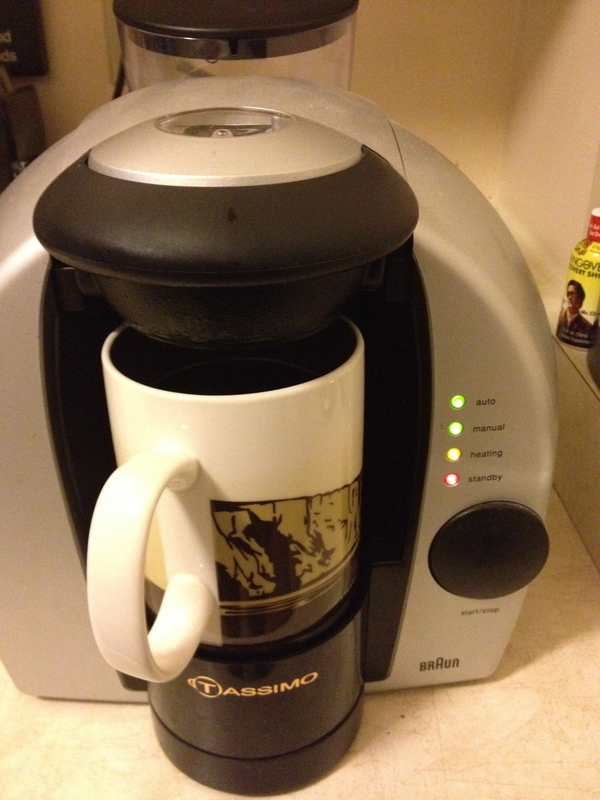 I drink up to six cups (9.5 oz ea) of coffee daily (only the first two are full strength, the rest decaf). They say you should drink up to ten cups of green tea daily. So, I combine six green tea with coffee in this way with (four full strength, with two decaf) and have four more straight (decaf). So, ten teas and six coffees are reduced to ten cups (95 oz) throughout the day, with only the caffeine of about three coffees (or one to two Starbucks) in the morning. Of course, most days I don’t get all those in, maybe only having half of my goal…. In Hong Kong, people are mixing tea and coffee for many year. It is call Yin Yang, you can find it in every restaurant. I do take coffee with green sometimes. When i told my they discouraged me but after reading this article, my mind is at rest. Can confirm. Gingerbread cofftea ftw. Enjoying it as I type. I make a pot of green tea every day. I use this green tea to brew my boyfriend’s coffee in the morning. He’s never complained about the flavor. It tastes like coffee to me. I don’t brew the tea very strong, though. Strong, Japanese green tea (or matcha powder), coffee, milk, honey. It’s not that bad. I tried this before seeing this and the way I did it was I made aatcha latte as usual but then I added a full Aeropress of a local light roast coffee, it tasted like a mildly brewed coffee with a strong nutty flavor. It was a bit rich so probably won’t do it to often, but was a complete success. Thank you for this. Besides the effort to make this review, I truly appreciate the humor and the Trek reference. Literally burst out laughing when I saw what scene. 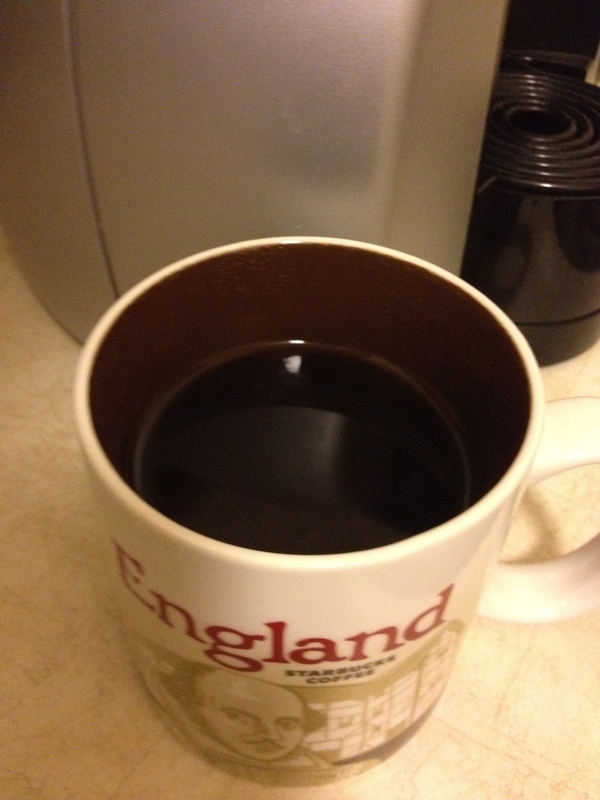 Try brewing dark coffee, and mixing Chai black tea inside with some milk and vanilla extract is wonderful. Really good article, with a good sense of humour. Keep it up! I just tried black tea made with hot coffee instead of hot water, not bad. I hate tea but like coffee. On the other hand I want the benefits of green tea antioxidants and the “compensating effect” of theanine. So.. I usually drink a mix of green tea powder extract (huge quantities, tastes awful) and I “tame it down” with some decaff (too much stimulants otherwise) coffee. Not that bad..